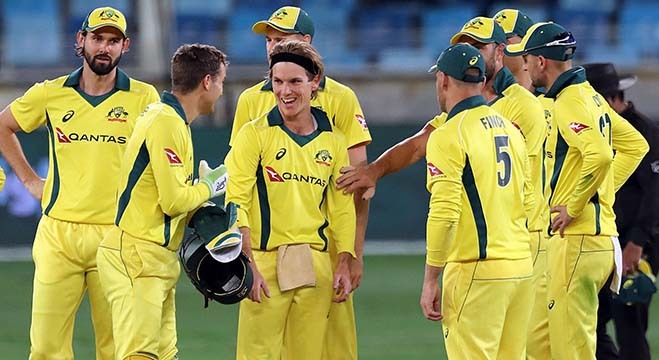 Dubai: World champions Australia completed a 5-0 whitewash over Pakistan with a clinical 20-run win in the fifth and final one-day international despite a brilliant hundred from Haris Sohail in Dubai on Sunday. Sohail scored a 129-ball 130 for his second one-day international hundred but failed to take Pakistan past Australia’s imposing 327-7, finishing at 307-7 in 50 overs. Australia’s total was built around Usman Khawaja’s 98 and a fiery 33-ball 70 by Glenn Maxwell coupled with Shaun Marsh’s 61 and skipper Aaron Finch’s 53 in a dominating batting show. It gives them a sixth successive series win over Pakistan since losing in 2002 (in Australia) and fourth whitewash over their opponents — 1998 (3-0 in Pakistan), 2010 (5-0 in Australia) and in 2014 (3-0 in United Arab Emirates). Australia’s resurgence — after winning just three of their 18 matches between January 2018 to the first two matches in India earlier this month — could not have been more perfectly timed as they defend their World Cup title in England in two months. Umar holed out to off-spinner Nathan Lyon and a run later Sohail’s innings was ended by Kane Richardson. Pakistan had lost Abid Ali — who made a debut hundred in the last game — for nought in the first over. Skipper Finch, declared man of the series for his two hundreds and two fifties, showed happiness at return of his and team’s form. “The way everyone contributed throughout the series was fantastic,” said Finch. “The difference in 15, 20 runs tonight was the fielding. Everyone has played a really good role. Wasim said he hopes Pakistan will recover before the World Cup. 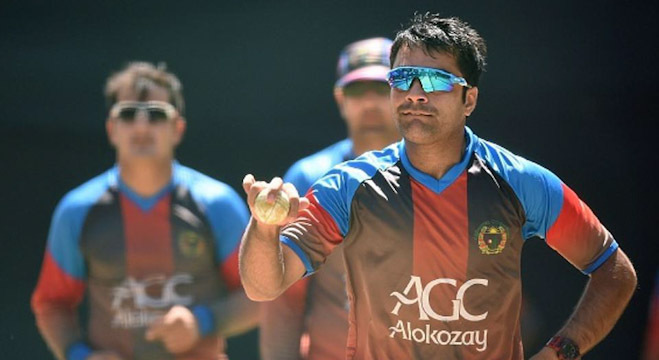 “We have to keep our chins up as we have a series coming up against England and the World Cup. 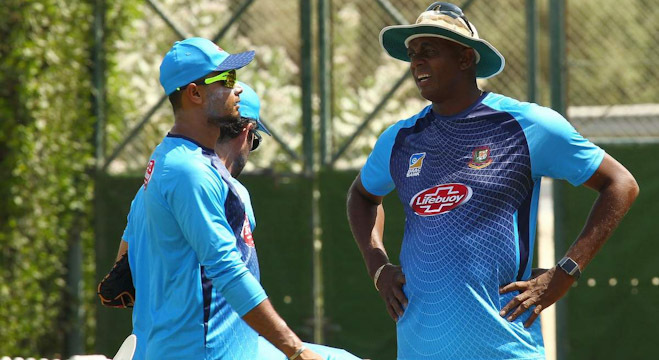 We’ll sit down and see what we have to do,” said Wasim. Khawaja and Maxwell made merry against Pakistan’s bowling attack. It was Maxwell’s ten fours and three sixes that helped Australia to 107 runs in the last ten overs. He was finally bowled by paceman Junaid Khan who finished with three wickets for 63. Khawaja, who hit ten boundaries in his 111-ball innings, set the platform with a solid 134-run opening stand with Finch for the pair’s second hundred run stand in the series. Finch was finally bowled by pacer Usman Shinwari, finishing with 451 runs in the series, only 27 short of George Bailey’s record in a bilateral series he made against India in 2013.